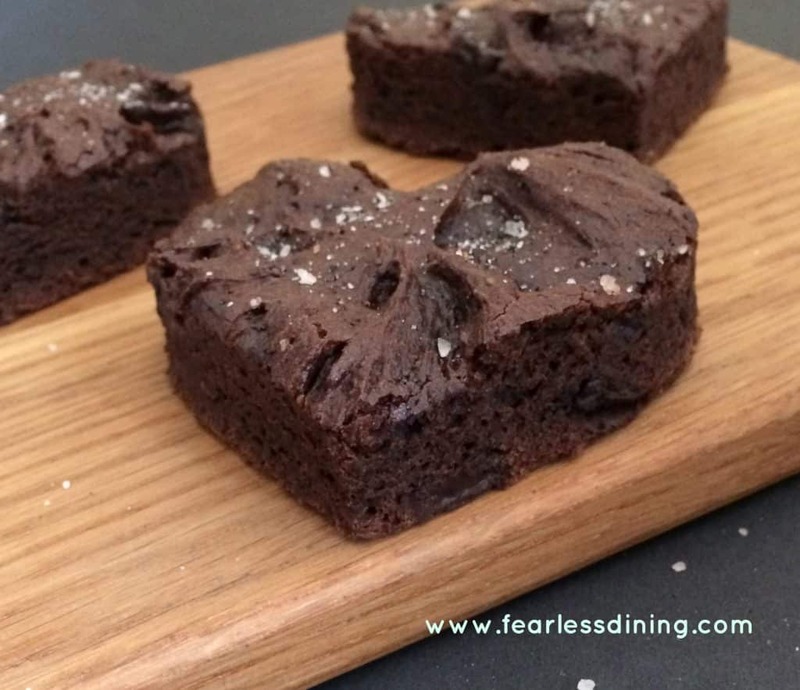 Love delicious moist and chewy brownies? 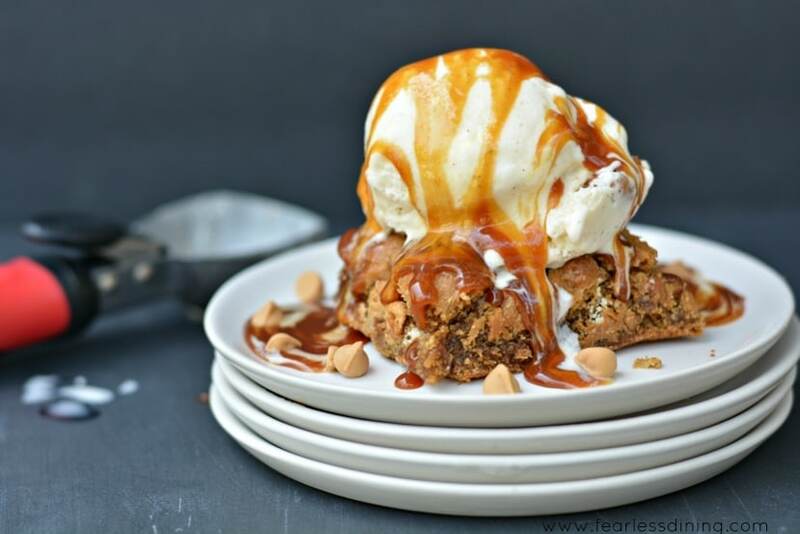 This peanut butter version, called a Blondie, is the most incredible dessert! 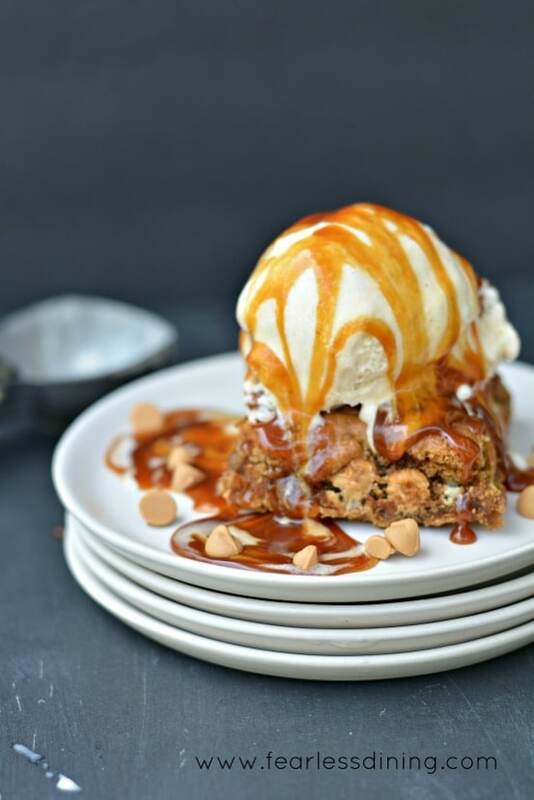 These delicious gluten free blondies are moist and delicious…and perfect with ice cream. 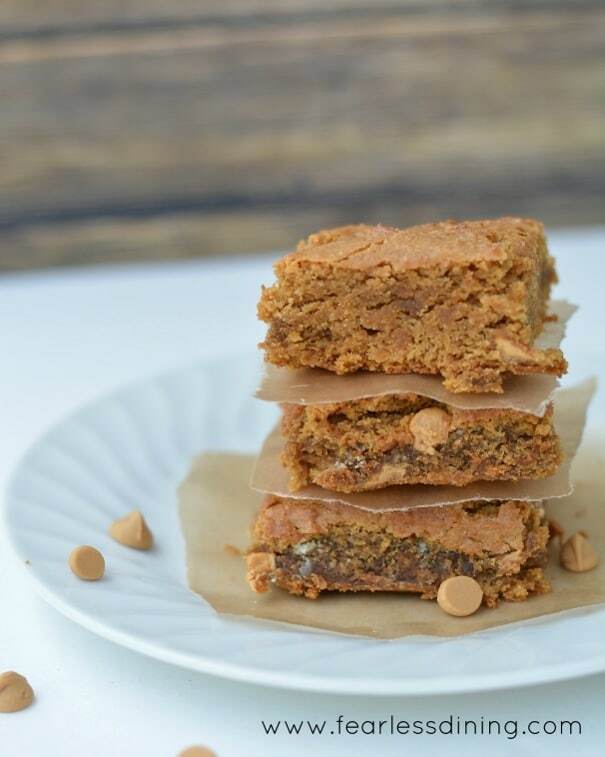 Have you ever tried a gluten free blondie brownie? I saw a recipe recently for an Applebee’s copycat recipe, and I have not been able to get it out of my mind. My sweet tooth was screaming for these blondies, and I knew I HAD to make a gluten free version. As I dug into the copycat recipe, I noticed a common theme. Flour and a ton of sugar. Substituting a gluten free flour for a regular flour was easy, and I added almond flour for some added protein. This copycat recipe has it all. I hope you love these gluten free blond brownies as much as my family did. 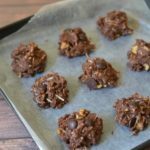 By the time I was finished changing this recipe, my gluten free version was very different from the original. My family will be the first to say that the final result was pretty incredible. This gluten free blond brownie is moist, chewy, and has just the right amount of sweetness. Add the dry ingredients to a bowl and whisk to blend. Add the wet ingredients to a bowl and mix well. Pour the wet ingredients into the dry ingredients, add the chips. In this case I used peanut butter chips and white chocolate chips! Scoop dough into an 8×8 baking dish and bake at 350F degrees for 20 minutes until done. 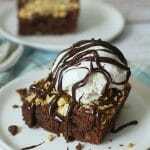 Enjoy these gluten free blond brownies with a scoop of vanilla ice cream and hot caramel sauce for a special treat! This gluten free flour blend makes these blondies so good. 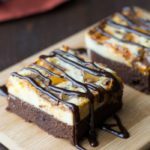 My favorite almond flour adds protein and moistness to these brownies. 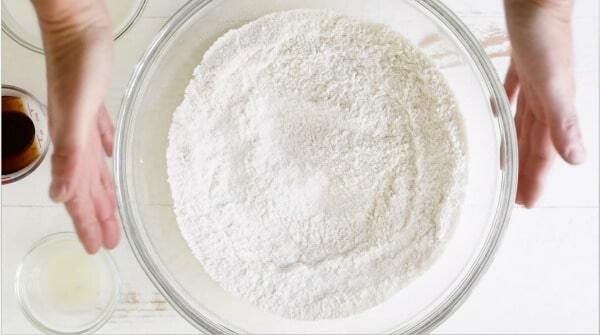 Blend all dry ingredients in a large bowl and whisk to blend. Blend all wet ingredients in a small bowl and whisk to blend. Add wet ingredients to dry ingredients, add in chips and blend well. Spread onto into pan and bake for 15-20 minutes until done. Love brownies? 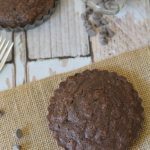 Here is a recipe for a gluten free brownie that holds its shape well enough to shape with a cookie cutter! That first photo had me drooling and I just had breakfast! So I thought it was butterscotch chips, but peanut butter is even better. Lovely and thanks for turning me on to a new ingredient, Xanthan Gum. I looked it up, nice stuff. These look absolutely perfect and beyond, considering they are gluten-free. Very nicely done! These look scrumptious! I’ve never used coconut sugar – a must try! These sound amazing but what kind of peanut butter chips do you use? The only ones I know of are GF but full of junk! 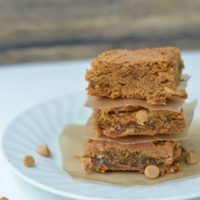 It’s not often that I would pick a blondie over a brownie, but this recipe might make me reconsider. Yum! That is too funny Andi 🙂 I am a self proclaimed choco-holic as well and I couldn’t stop eating these blondies. Thank you for the comment. Thank you so much Carrie. I find when I can add protein into my kids’ treats, they are much less hyper :-). I appreciate the share and pin! Have a great weekend! My daughters been dying to try making blondies this summer-perfect timing! Just pinned-these look fabulous! Thank you very much Shari, I really appreciate it. I love your Wednesday Hop, there are always so many fun people to meet and recipes to try. Have a great morning. 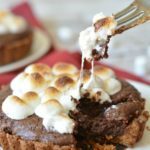 Oh the decadence…are you sure it’s gluten free 🙂 I have friends that eat only gluten free and they are gonna love this one! Come by tonight and share at the Wonderful Wednesday Blog Hop (7 Est) if you get a chance. Love, love, love this! Thank you so much Shari. This is truly a delicious creation. I have to be careful with all of these sweets for the next two weeks because my kids are both at an overnight camp in Yosemite. Bad for me because I am left to eat of the things I creae 🙁 I need to see if these freeze well. I will stop by your hop, thank you again for the invite. 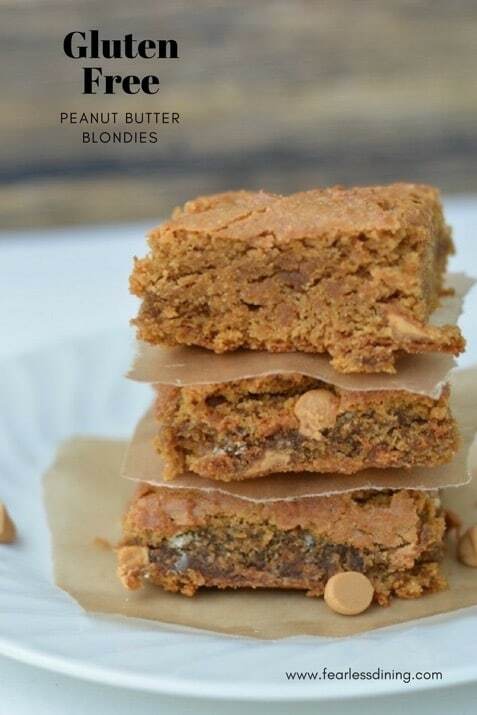 I LOVE blondies and these sound absolutely delectable! Thank you so much Jillian. My kids made these disappear quicker than I expected :-0 Have a great night! Where is the recipe for the blondies? Wow Claudia, that is my big doh! moment 🙂 I guess my brain has spaced out with my kids gone at sleep away camp for 2 weeks. It is so quiet here I am not used to it. Thank you very much! The recipe is there now.